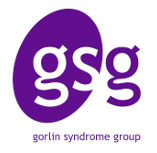 The Gorlin Syndrome Group is a support network offering guidance and information to patients, their families and carers whose lives are affected by Gorlin Syndrome (also known as Nevoid Basal Cell Carcinoma Syndrome). The group is organised by patients affected by Gorlin Syndrome and their families, with support from medical advisors. to promote research into the causes, effects, treatment and management of Gorlin syndrome. We are grateful for the continuing support of medical advisors. If you require more detailed information/evidence then you can get in touch via contact us. Every reasonable effort has been made to ensure the information on the Gorlin Syndrome Group website is up to date and accurate. The information is not a substitute for medical care, if you have worries about your condition then speak to a General Practitioner or healthcare professional. Gorlin Syndrome Group shall hold responsibility for the accuracy of the information they publish and neither the Scheme Operator nor the Scheme Owner shall have any responsibility whatsoever for costs, losses or direct or indirect damages or costs arising from inaccuracy of information or omissions in information published on the website on behalf of Gorlin Syndrome Group. The Gorlin Syndrome Group cannot be held responsible for the content or accuracy provided on external web links.